Specialized or All Purpose cleaner, which one to choose? 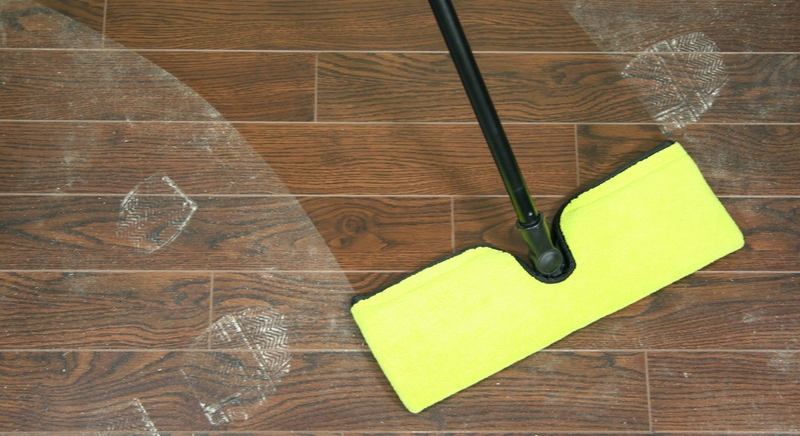 Either your floor is made of hardwood, laminate, ceramic or vinyl, it is essential to use an adequate cleaning product that will extend its lifetime and keep the natural glow. What are the reasons to use a specialized cleaner instead of an all purpose one? Even though their price is interesting and they are easily accessible, all purpose cleaners tend to ruin the floor in different ways. Some cleaners contain detergents that will leave an oil or soap film that will keep the dirt on the floor. This is a consequence of the high degree of alkalinity found in the product. Sticking on the floor, the layers left by the cleaner are creating a build up over the time leaving a permanent coat on your floor. Some others will damage and tarnish the floor finish. So, it’s essential to use a soft and appropriated cleaning solution for your floor to preserve it as long as possible. Finitec offers a performing cleaning products line adapted to the different flooring options available on the market. In addition to being waterborne, the products are offered with different odors and are leaving no traces or residues.